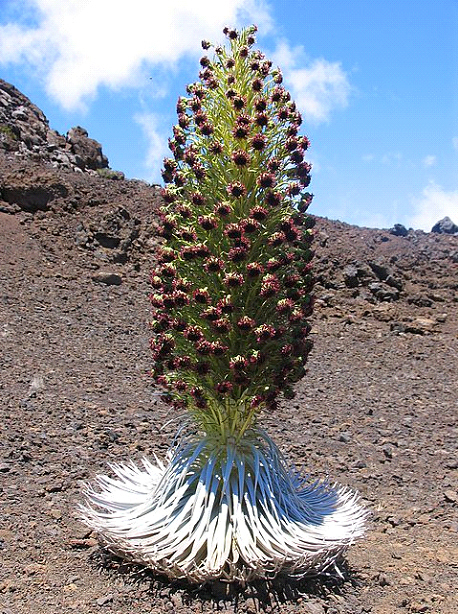 Look first at how a blossoming silversword looks. An impressive sight. Hawaii has many special plants that are just there, they've evolved there. They are endemic to say. 91% of all plant species are endemic to Hawaii, the highest rate on the planet. This means that Hawaii is a good place to study the evolution of. Overall, there are 970 vascular plants there. And number two, New Zealand with 81% of endemic species. Number three is New Caledonia, with 76% of endemic plant species. These three islands are in a class by itself along with New Guinea, where it is estimated that between 70 and 80% are endemic. All plants are not fixed there yet. If we then go to other islands such as Cuba 46% is endemic, Jamaica 23%. Galapagos Islands, you're probably wondering about that. There is 25% endemic species. Had Darwin arrived in Hawaii, he had found even better study material for his theory of evolution. 650 plant species have thus man brought into our country during the last 200 years and I'm pretty sure that the monks during the Catholic period also brought in some species. This means that humans have increased the botanical diversity of our country by about 42% over the past 200 years. Who is it that says that humans reduce biodiversity? There's both a plus and a minus account. 300 species are on the flora guardians track. Who is flora guardians in Sweden? Most retirees. Very few young people are flora guardians. We would need more young people. Endemic species in Sweden? I have not found an exact list of this. They often mix species and subspecies. but it is said to be more than 30 endemic species in our country. We can blame the ice age for this small part. Time has been to short to evolve many endemic species. These endemic species are found in the mountains, on Öland and Gotland and along the Baltic coasts. 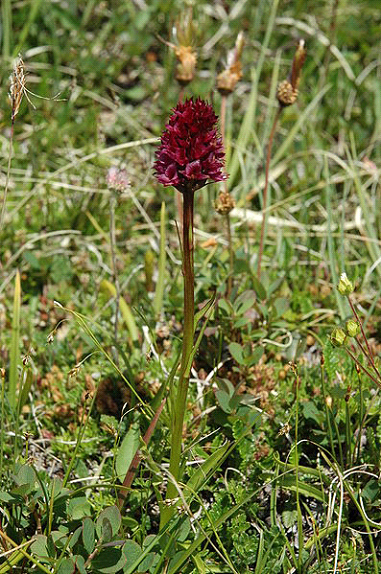 An endemic species is Gymnadenia runei an orchid more red than Brunkullan, a relative, found only in southern Lapland. This one was discovered in 1960 by "Rune" hence the name Gymnadenia runei. This Rune with first name Olof. See picture.